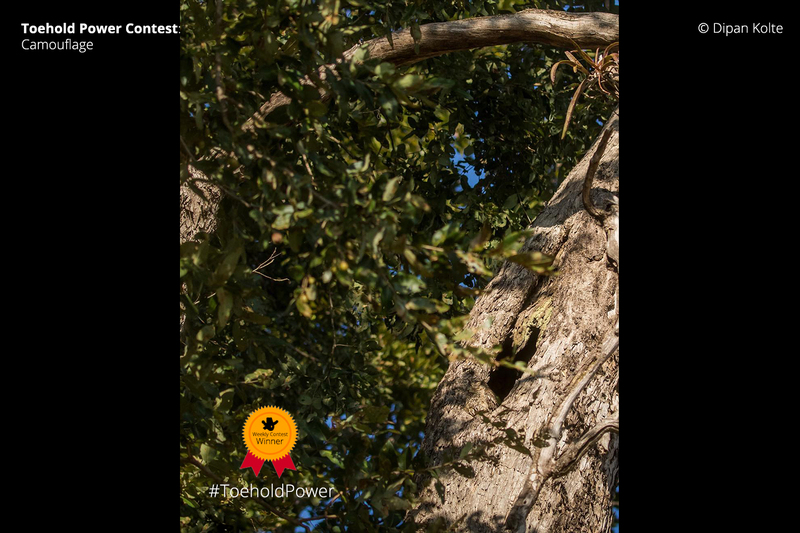 The theme of this week’s Toehold Power of Photography Contest is ‘Camouflage’. Share with us some images you have made depicting the theme.The Contest is open from today, 21 January, until Sunday, 27 January. If our moderators are impressed, you’ll have an all-new reason to celebrate. You can walk away with a cool prize, a Rs. 2000/- voucher that’s redeemable against any of our services! The winner image will adorn the cover of our Toehold Network, too! — Post an image you have made – one that depicts this week’s theme clearly – on your own Facebook/Instagram/Twitter wall. — Tag the Toehold page in your description of the post. — Do NOT forget to add the hashtags #ToeholdPower and #Camouflage! That’s the only way we can find your entry to this contest. That’s it! The deadline for the contest is 11:59 p.m. IST on 27 January. Winners will be picked and announced by 30 January, Wednesday! — There’s no limit on the number of images you can enter. — Images must be your own original work and not be in breach of any legal and ethical guidelines. — Images of captive wild animals (if they are a part of your image) will not be considered. — Prizes cannot be exchanged for cash. — Shipping of prizes, if applicable, will be restricted to India. — We reserve the right to make changes to the contest policies at any time without notice or withdraw the contest entirely. At Toehold, we believe photography is a truly powerful medium of self-expression. By helping us speak the human language of stories, it can help build bridges and develop an appreciation for other beings, cultures, places and times. It connects us more closely to everything and enhances our understanding of the world, one frame at a time. The Power of Photography Contest is a movement to leverage this potential to inform, inspire and compel one another to view the world with ever-growing wonder. The winner of last week’s Power of Photography Contest with the theme ‘Camouflage’ is here! In this image of delightful composition, a Scops owl is camouflaged with the textures of the tree. While you figure out where this nocturnal avian wonder is in this image, we congratulate Dipan Kolte! Congratulations, Mr. Kolte. Explore our Guided Photography Tours across the globe or join our Art and Science of Photography Workshop in Mumbai and Bengaluru to start taking photos like a pro!